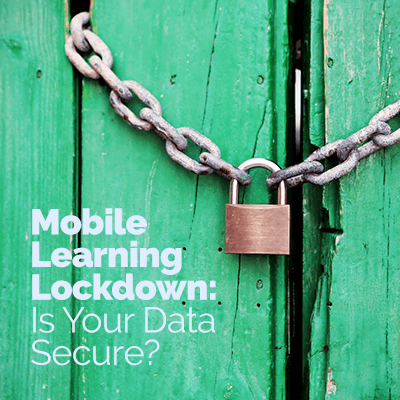 The biggest and most thorough collection of Mobile Learning Security. Anything you need to know about Mobile Learning Security, written by the top eLearning experts worldwide. Data security is a primary concern for IT and HR departments when mobile learning is discussed. How can we keep corporate data secure when we start sending it to mobile devices—especially employees’ personal mobile devices?